These two labels have been created by the producer Analogik Voice aka Yonel Gee. Saphir Records is dedicated for techno music (minimal techno, funky techno, groovy techno, hardgroove ...). 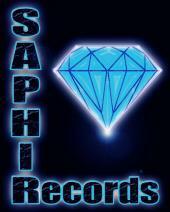 Saphir Soft Records is oriented for tech house, house and electro music. Analogik Voice's main ambition was to create two labels with a sound conceived for the club, radio show or the event.